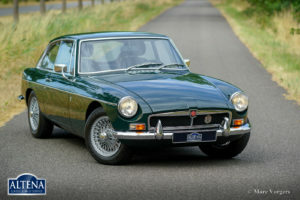 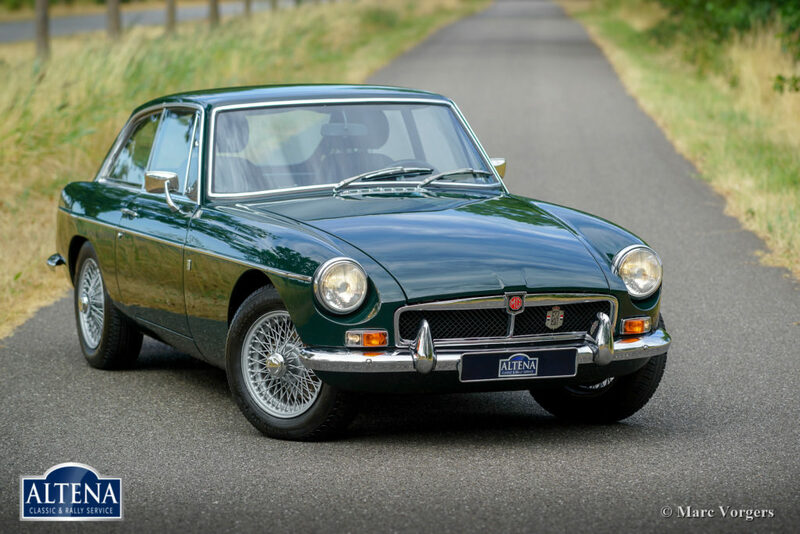 MG MGB GT, 1970. Chassis number GHD5UA21763XX, engine number 18G-WE-H 435XX. 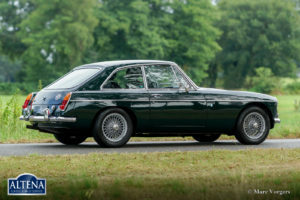 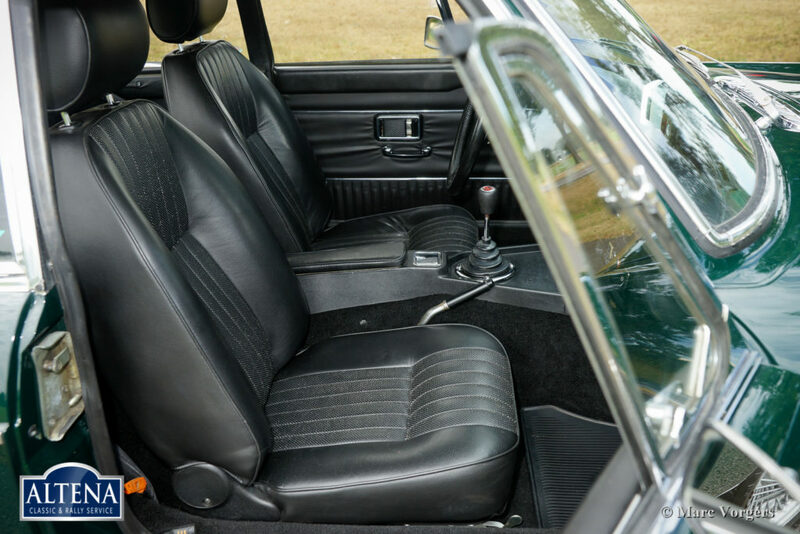 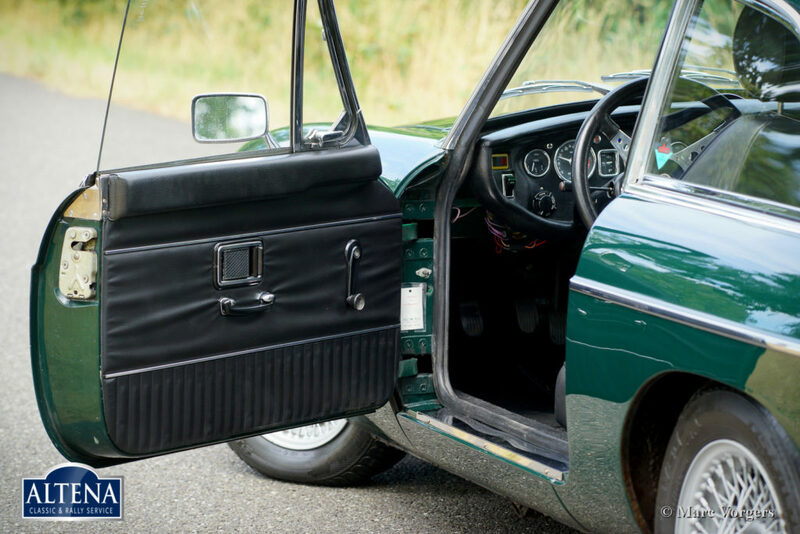 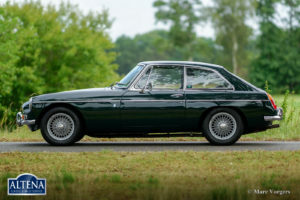 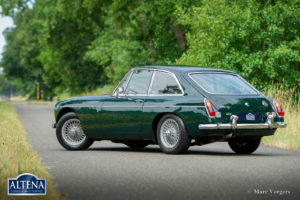 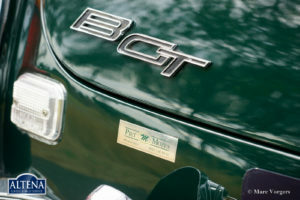 Colour British Racing Green with a black leather interior. 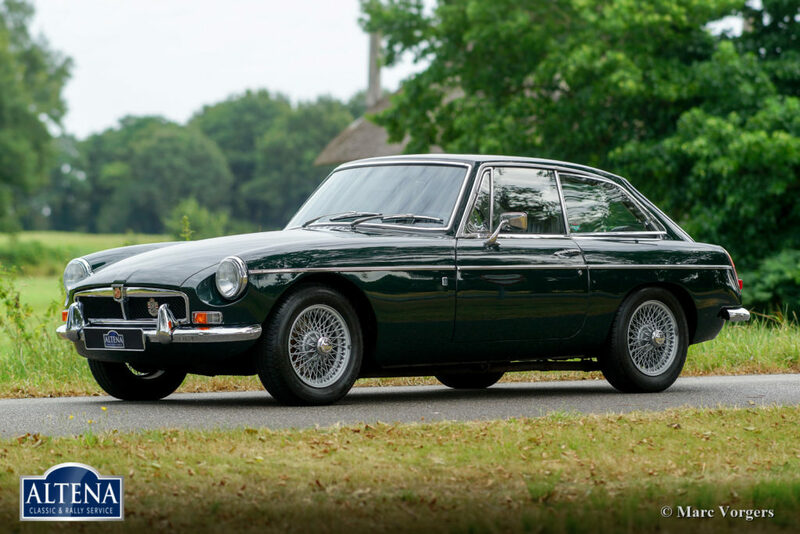 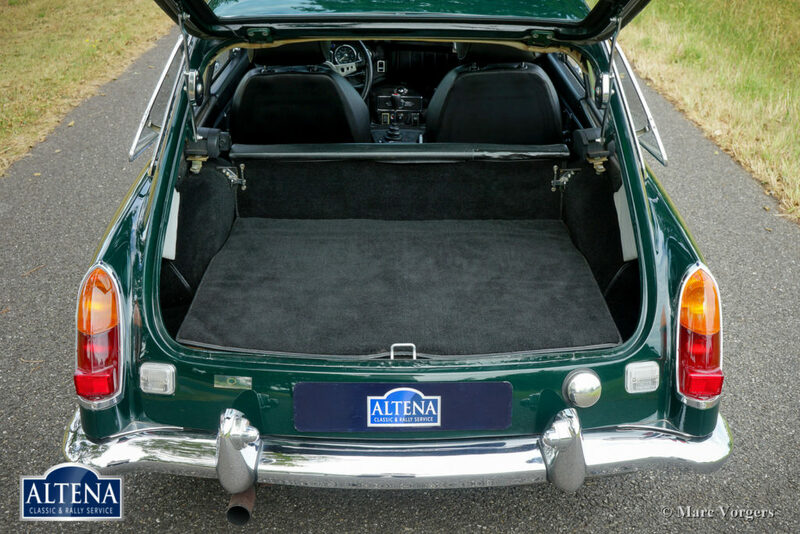 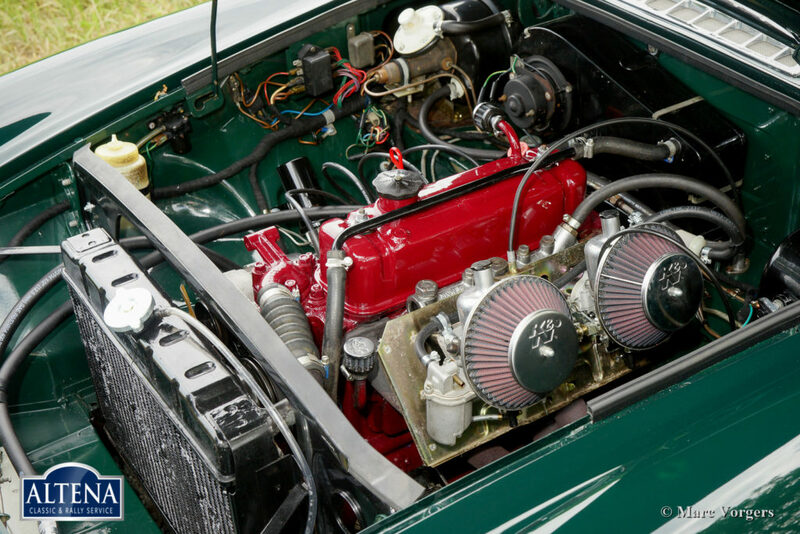 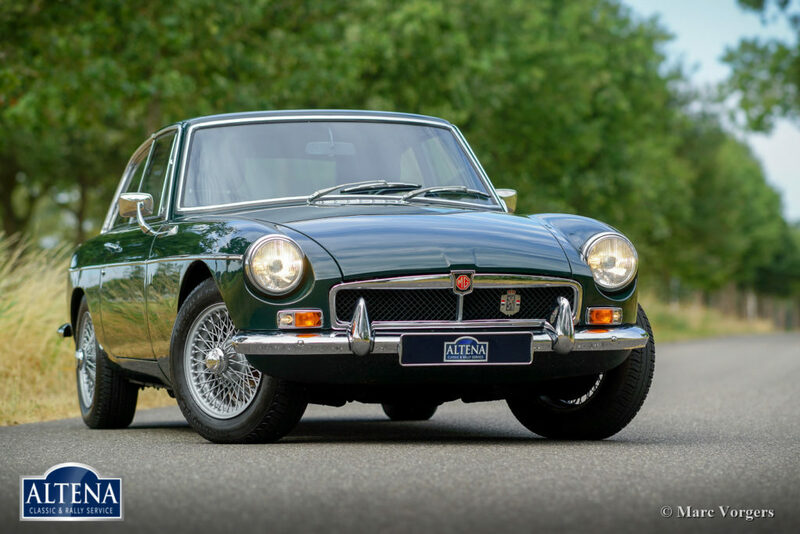 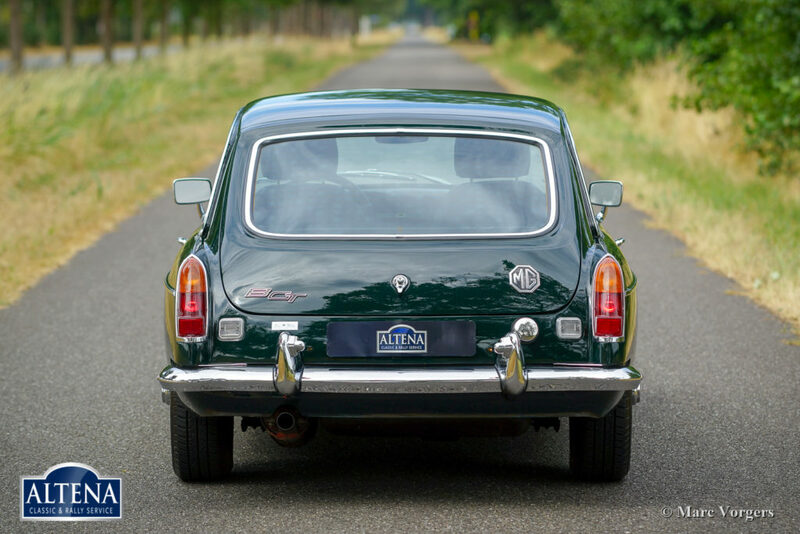 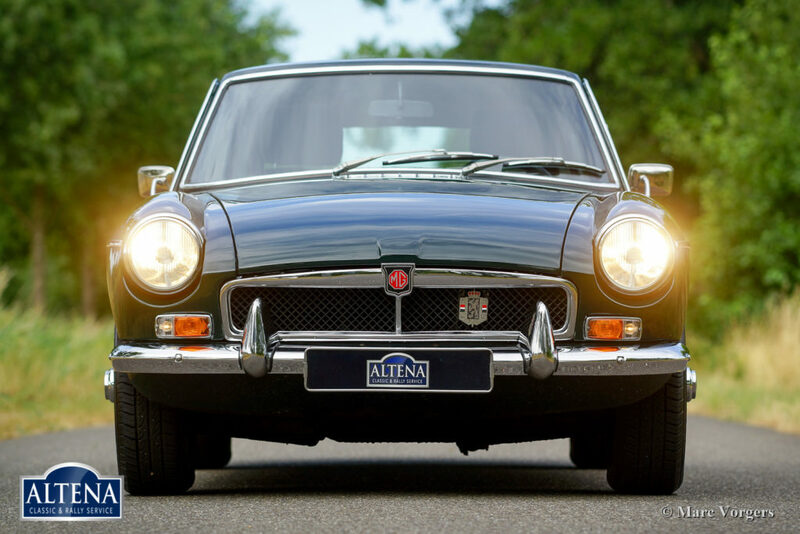 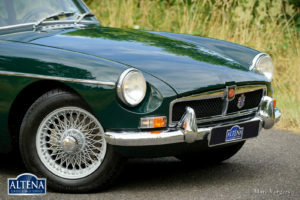 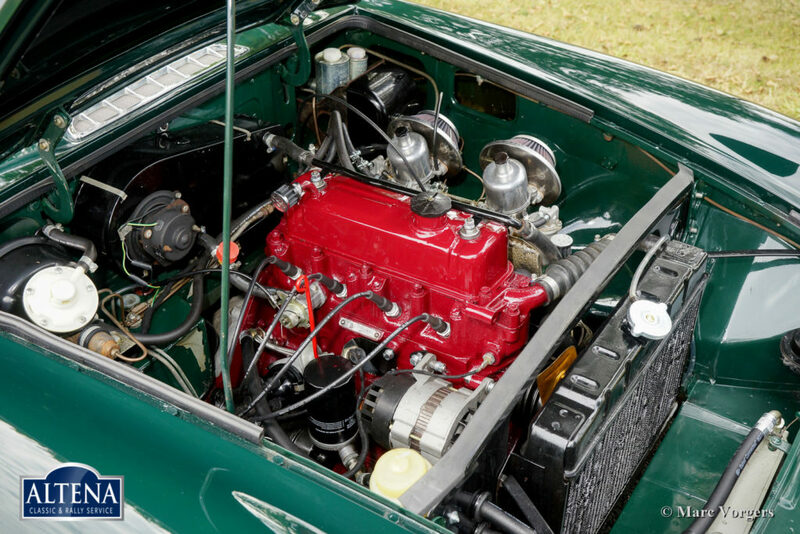 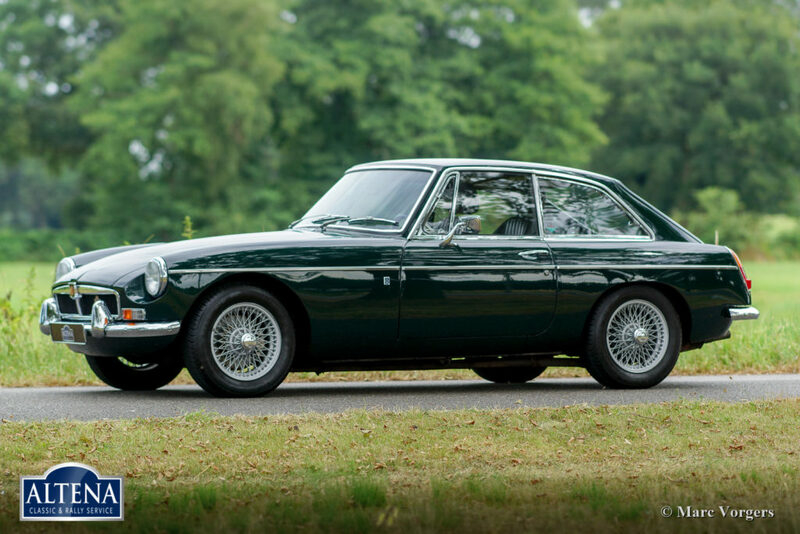 This magnificent MGB GT was superbly restored by the renowned firm of Piet Mozes Restorations in the past. Everything was restored and / or renewed. 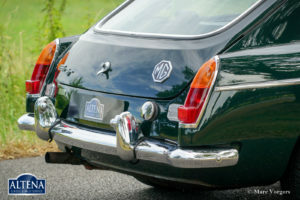 The bodywork was restored from the bare metal, the panel fit is perfect. 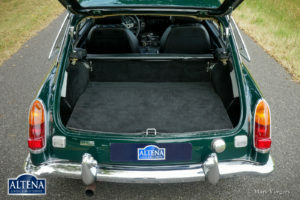 The body was given an epoxy base coat and it was finished with a high-class paint-system inside and out. 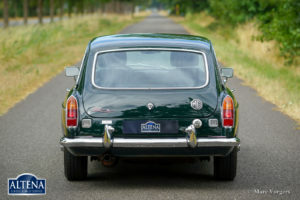 The hollow cavities were treated with Dinitrol. Of course, the engine, gearbox and rear axle were overhauled. 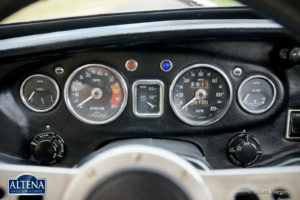 The engine was tuned to ‘fast-road’ specifications. 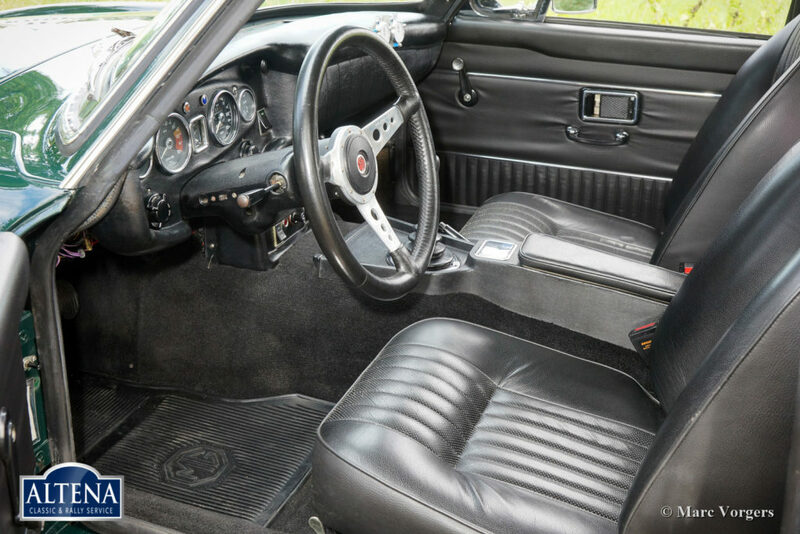 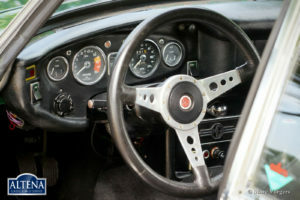 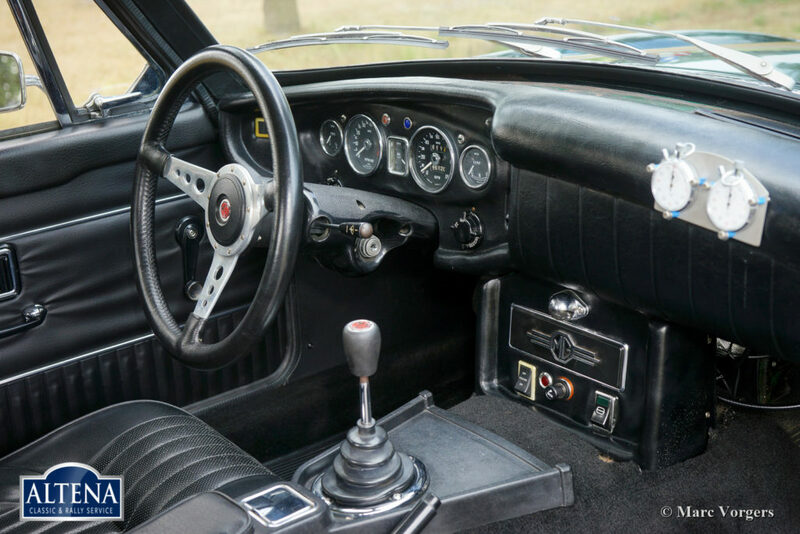 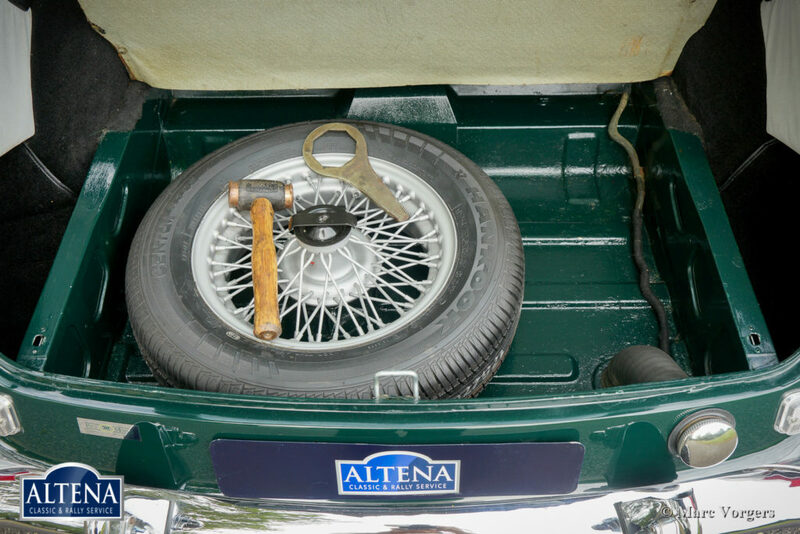 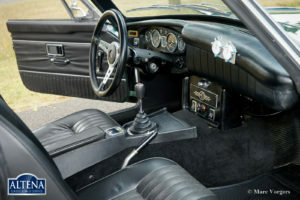 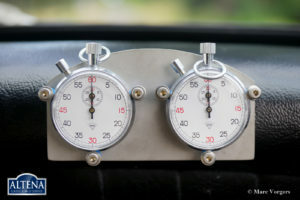 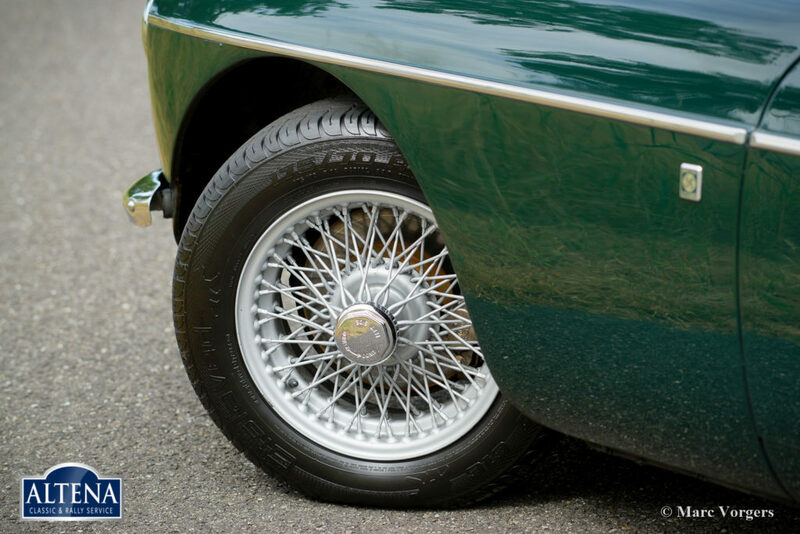 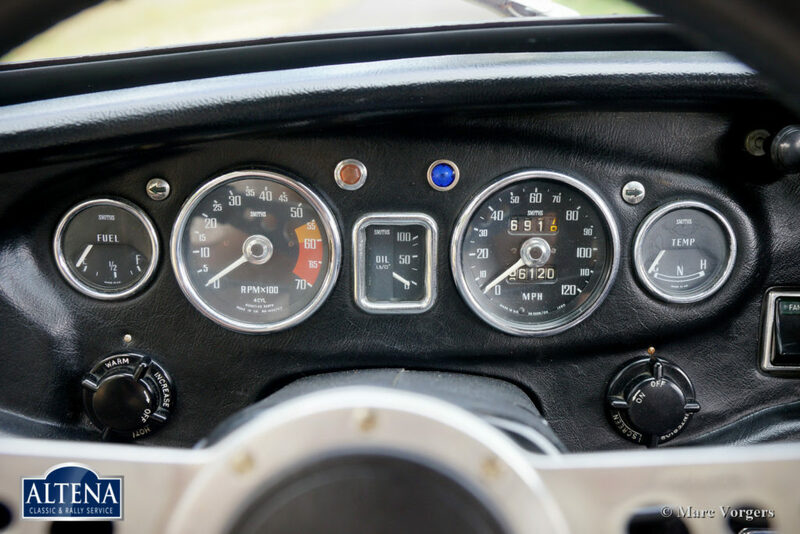 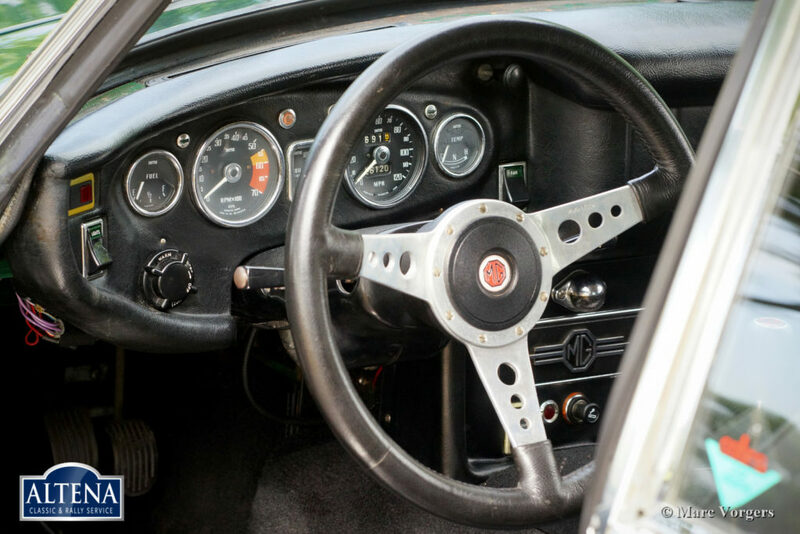 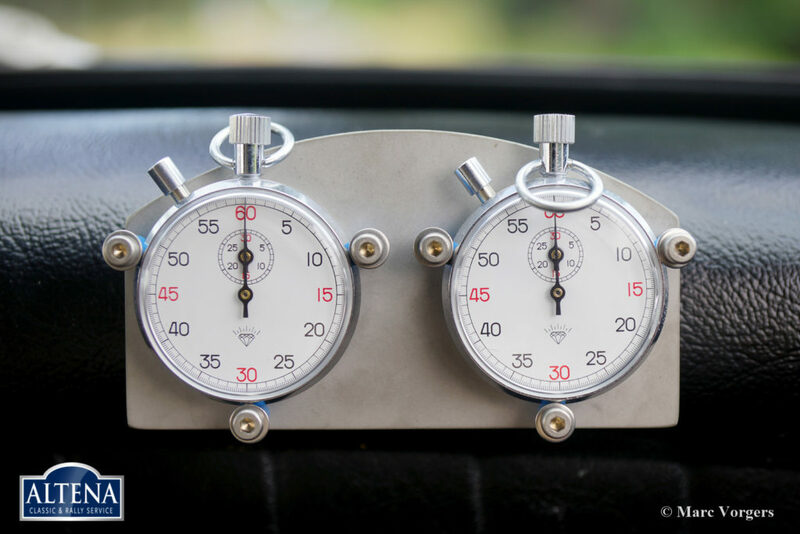 The car features: overdrive, special classic sports seats, painted wire wheels with chrome ‘knock-off’ wheel nuts, stop-watches for historic (touring / rally) events and a MotoLita steering wheel with a leather clad rim. This MGB GT is in superb condition and the car drives perfectly. 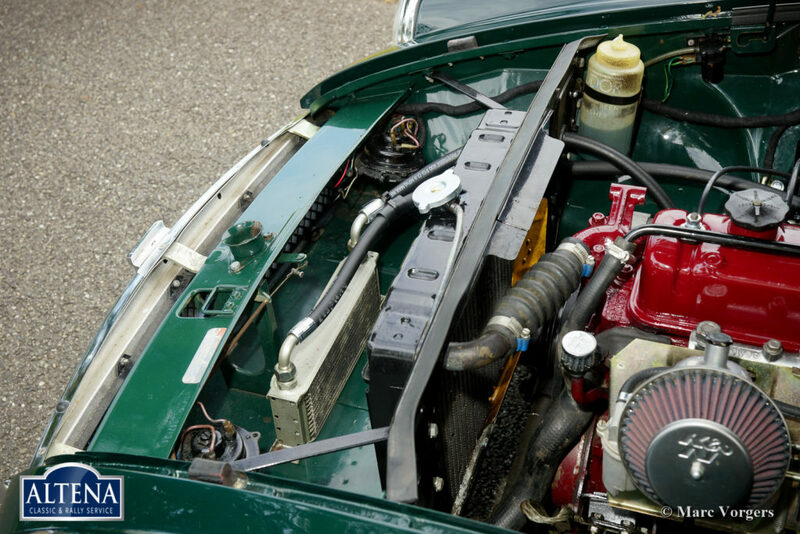 The car comes with a history file and (service) invoices. To have an MGB GT restored to these standards is a very expensive business… This is your chance to purchase a superbly restored MGB GT!